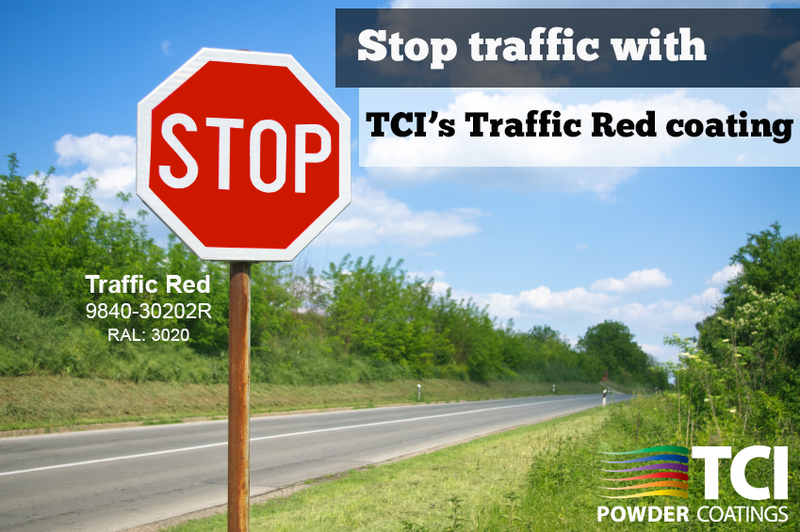 TCI Powder Coatings Blog: Stop Traffic with Traffic Red! Nothing makes people stop and admire like a bright, brilliant red. TCI brings a broad spectrum of colors to the table, giving you many selections to choose from, even unique and rare hues that can be hard to find. This month, we’re featuring Traffic Red! This color is perfect for when you are looking for a high gloss, RAL red that is fast cure. This coating is great for outdoor applications with a high need for durability.